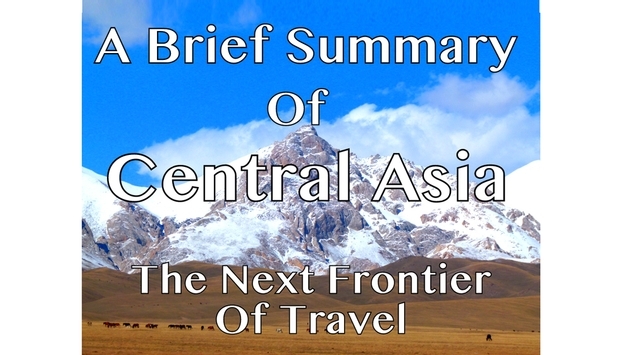 Central Asia has long been a blank space on the map. A large, empty and unknown region yet to be discovered by tourism. But slowly, over the past few years, more and more intrepid travelers are making their way into this hidden territory and they’re finding welcoming people, rugged landscapes and incredible adventures. This may just be the last great travel frontier. If you’re ready for an experience of a life time, strap up your backpack and head into the wild and still unknown reaches of Central Asia. The region known as Central Asia is a group of five former USSR republics spanning from the Caspian Sea in the west to China in the east. Each country has its own language and there are unique dialects spoken in different regions as well, but Russian is the most unifying of all the languages. Going counter-clockwise from north to south, the countries that comprise this region include Kazakhstan, Kyrgyzstan, Tajikistan, Uzbekistan and Turkmenistan (Afghanistan is also sometimes included). The largest of all the Central Asian countries, Kazakhstan offers travelers a unique glimpse into life in an unforgiving desert landscape. In stark contrast, the new capital of Astana is a wildly modern and hedonistic party town where towering skyscrapers are mixed with metropolitan boulevards, leafy parks and world-class shopping. The old capital of Almaty is a much more appealing city where the rugged Zailiski Alatau mountain range literally sits in the city’s back yard. 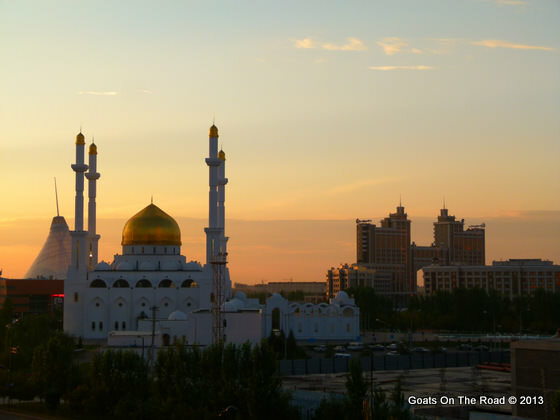 Visitors to Kazakhstan can peek into life on the steppe, in the desert or in the city and even though the country is massive, most places of interest are connected by a convenient transport system. The first steps into Kyrgyzstan come with a cool mountain breeze and spectacular views of snowy peaks. The country is 90 percent high altitude and although it also has a bustling capital in Bishkek, Kyrgyzstan’s true charm is in its outdoors. Most travellers who do a trip through “the Stan countries” agree that Kyrgyzstan is the easiest to travel, the most welcoming and the most rewarding. If you are going to visit just one Stan, make it Kyrgyzstan. With a unique culture, useful home stay network and relatively good local transport, Kyrgyzstan is a great introduction the rest of the region. Highlights of the country include horse treks over mountain passes, stunning alpine lakes, funky mountain villages and Issyk Kul, a beautiful warm lake with the Tian Shan mountains looming as a backdrop. Interested in travelling to Kyrgyzstan? Check out this Guide To Backpacking Kyrgyzstan! 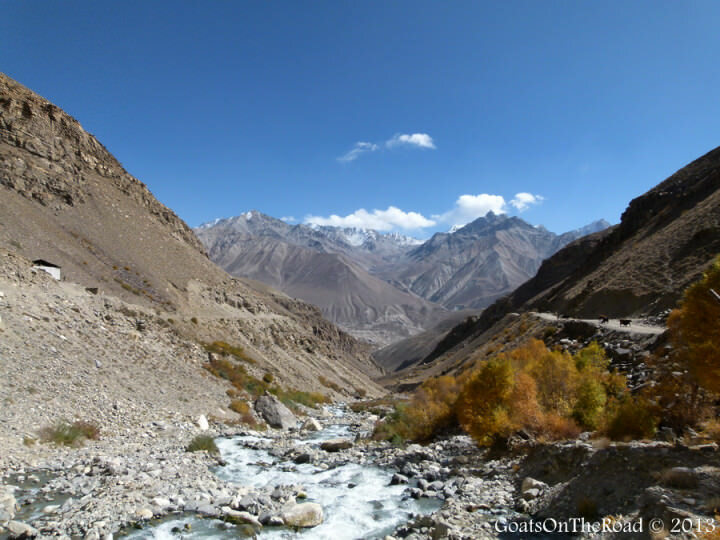 Famous for the epic Pamir Highway road trip, Tajikistan is a rocky, high altitude lost frontier. If Kyrgyzstan is a rough and jagged landscape, then Tajikistan’s topography is like that of Mars. Here you can get lost in the mountains, spot ancient petroglyphs carved into rocks and find untouched mountain villages where little has changed since the petroglyphs were first created. If you decide to backpack Tajikistan, it is highly recommended to hire a car and driver to take you on the Pamir Highway. This is the second highest road on earth and it meanders its way through stunning mountain scenery, pristine river valleys and secluded villages. 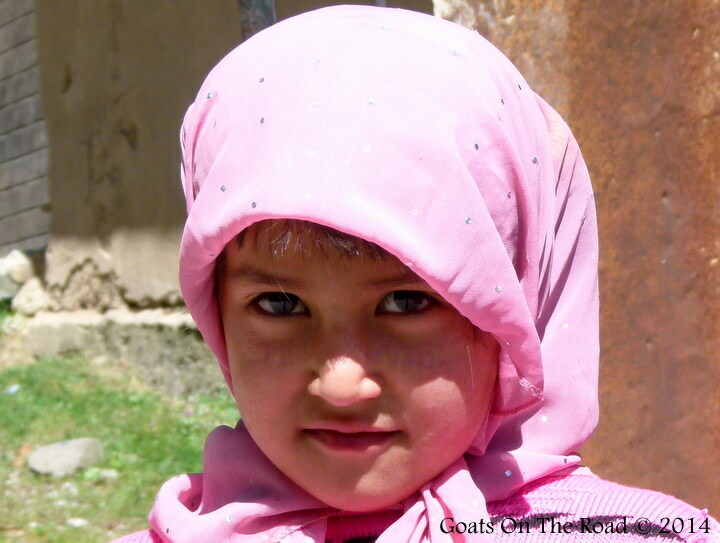 You can stay in home stays all along the highway and get a real feel for the Tajik way of life. Interested in Tajikistan? Check out this Guide To Backpacking Tajikistan! Kyrgyzstan and Tajikistan mostly entice travelers due to their raw nature, but Uzbekistan offers history, arts and spectacular architecture. While there are still some beautiful hiking areas around the Fergana Valley, Uzbekistan has made a name for itself over the centuries by constructing amazing cities like Samarkand, Bukhara and Khiva. The intricate, decorative carvings, towering madrassas and ornate arched doorways in Mosques, Minarets and Mausoleums are really worth a trip to Uzbekistan in themselves. These cities blew up around the 2nd century B.C when money from silk road trading was pouring into Uzbekistan faster than their opulent Emperor could spend it. He built cities that would be spoken of from China to England, and today, it's surprising that these places aren’t more famous worldwide. A visit to Samarkand is enough to show travelers what life was like in the days of the thriving silk road and it gives them an idea of how much money was made from the world’s first international trading highway. Bukhara and Khiva are equally impressive ancient cities and the three of them together make for a perfect historical trail around the country. Check out this quick video of Samarkand! 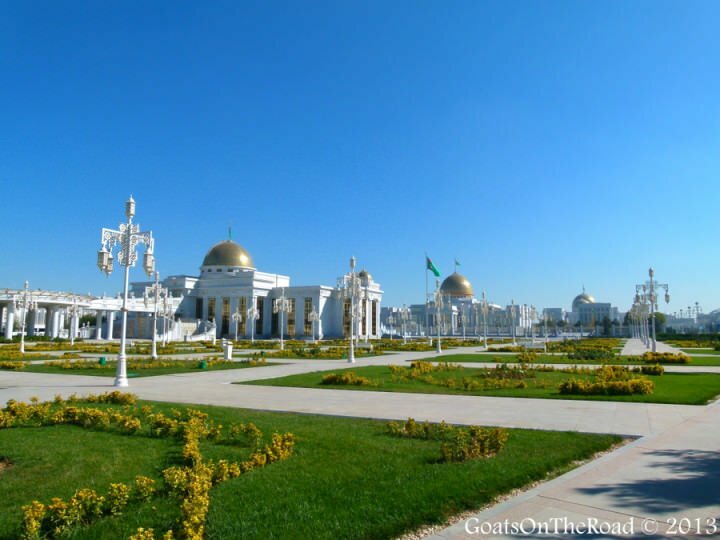 A peculiar country run by a long line of egocentric dictators, Turkmenistan is a strange place to behold. From deserts where flames naturally shoot out of rocks, to an enormous capital made almost entirely from white marble, this is surely one of the oddest places you could ever visit. If you were to give one Central Asian country a miss, you could be forgiven for skipping Turkmenistan, but many travelers find a strange attraction to the country’s many quirks and oddities. It’s understandable if you have never thought of visiting these places. They’re far off of the tourist radar and many don’t even know exactly where they are. It’s shocking that somehow, over the years, spectacular cities like Samarkand and Bukhara, beautiful mountain roads like the Pamir Highway and dazzling lakes like Issyk Kul have somehow been forgotten in time. But for the adventurous traveler, willing to jump through a couple of hoops to get the appropriate visas and permits, Central Asia is an intrepid traveler’s paradise. Hopefully after reading this article you have a better idea of what a trip to this region entails because soon... you’ll be hearing a lot more about it.